Located in popular vacation destination North Conway, Cranmore Mountain Resort is one of New England's oldest and most storied ski areas. The modern history of Cranmore dates back to January of 1937, when locally-raised developer and international financier Harvey Gibson acquired the slopes of 1,667 foot Cranmore Mountain and started a plan to make North Conway into a winter destination. The lift served skiing history of Cranmore Mountain dates back to the following winter, when the local Chamber of Commerce funded the installation of a 1,000 foot rope tow. In the era of rope tows, a cutting edge lift named the Skimobile was constructed for the 1938-39 season, reaching halfway up the mountain. Consisting of a set of cars on a track, it was only the third lift in the state that allowed the skier to be seated while riding up the mountain. Local mechanical guru George Morton was hired to design and construct the lift. After negotiating with Heinrich Himmler, Gibson was able to get legendary ski instructor Hannes Schneider released from Nazi Germany and transported to the United States in January of 1939. Gibson then accompanied Schneider to a massive welcoming party in North Conway, after which Schneider essentially took the reins of Cranmore. Upon the initial recommendation of Hannes Schneider, an upper portion of the Skimobile was added for the 1939-40 season. Three new trails were added for the 1940-41 season including the Toni Matt Trail, the Middle Trail, and the Koesler Trail. The Kandahar was completed for the 1942-43 season. Improvements continued following World War II, as the Skimobile base station was rebuilt and expanded. The Alberg trail opened in late December of 1946. By this point, Harvey Gibson had invested $1,000,000 this snow train destination resort. Building on the popularity of the Arlberg Trail, in 1948 Schneider cut a new trail in the vicinity of the defunct Rolling Rock trail and named it the North Conway trail. A second rope tow was added to the South Slope that off season as well. While the 1949-50 season got off to a promising start with the earliest opening ever on December 11, the new decade was overshadowed by deaths, the first of which being Harvey Gibson in September. The Artist Falls Trail debuted for the 1952-53 season. A larger expansion was being planned. While laying out the new expansion on the back side of the mountain in April of 1955, Hannes Schneider suffered a fatal heart attack. While his death was a major blow to Cranmore, the East Bowl expansion project continued that off season with Herbert Schneider taking over for his father. 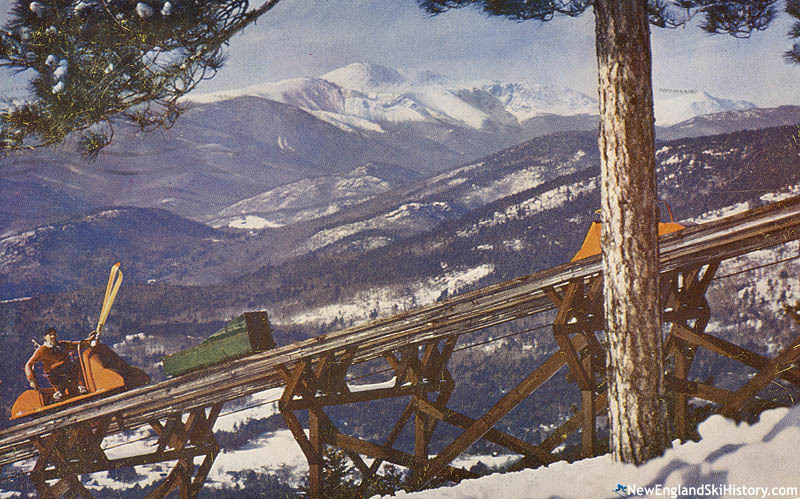 Opening in December of 1955, the double chairlift served complex was complemented with a new Poma lift on the South Slope. The development also brought forth rumors of further expansion to Black Cap, however only one trail/access road was partially cut. A new version of the Rattlesnake Trail was cut for the 1957-58 season. A new 4,000 foot Poma lift was advertised for the following season, however it was never fully installed. After reporting a record season in 1962-63, Cranmore installed its second double chairlift for its quarter century anniversary. Unfortunately, a decline in business was starting. Not only were larger mountains being developed, but Interstates 89 and 93 were soon providing easier travel to these new places. Longtime Cranmore general manager Phil Robertson headed up the valley in the mid 1960s when he opened Mt. Attitash in Bartlett for the 1964-65 season. 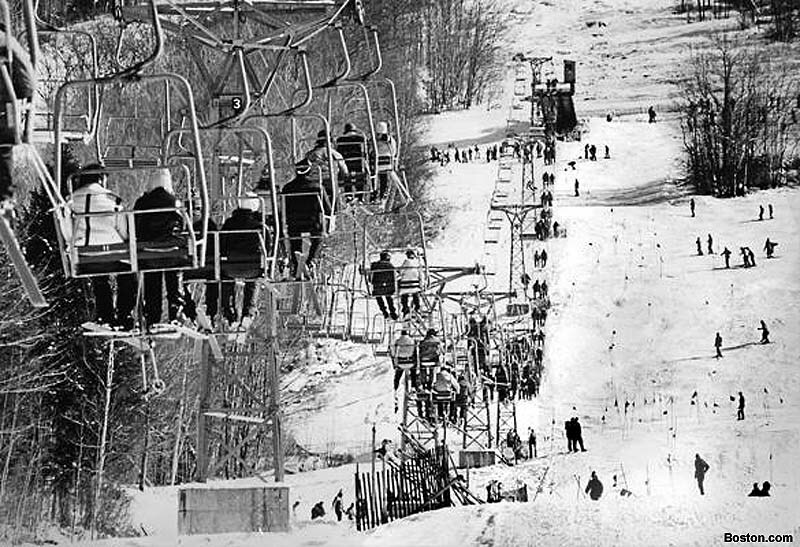 A third double chairlift was likely installed for the 1969-70 season (it may not have opened until 1971), serving the lower mountain. A snow drought that winter threatened the area's economy, resulting in local business owners joining together to rent snowmaking equipment for the South Slope. A $250,000, 44 acre snowmaking system was installed for the 1970-71 season, helping to prevent anymore lack-of-snow closures. Following a fire, the East Bowl double was mostly replaced with Mueller parts for the 1973-74 season. Meanwhile, the recently installed snowmaking system came in handy, as Cranmore was the only Mt. Washington Valley ski area to open in December of 1973. The Mount Cranmore Tennis and Recreation Club was constructed for 1975, when the Volvo International Tennis Tournaments were relocated from the Mount Washington Hotel to Cranmore's 8,200 seat stadium. The clay courts hosted a decade long run of the tournament, which had famous victors such as Jimmy Connors and Ivan Lendl. Lacking the capital to keep Cranmore competitive, Herbert Schneider sold the ski area to Ed Mank's Mt. Cranmore, Inc. in the fall of 1984. While snowmaking was extended to the summit in 1985, that year also marked the departure of the Volvo International Tennis Tournaments to Stratton. A $3 million expansion program was completed for the 1986-87 season, including a significant snowmaking expansion and the installation of a triple chairlift to the summit. Another chairlift was installed in 1987-88, this time on the South Slope. This was not enough, however, to keep Cranmore from sinking. 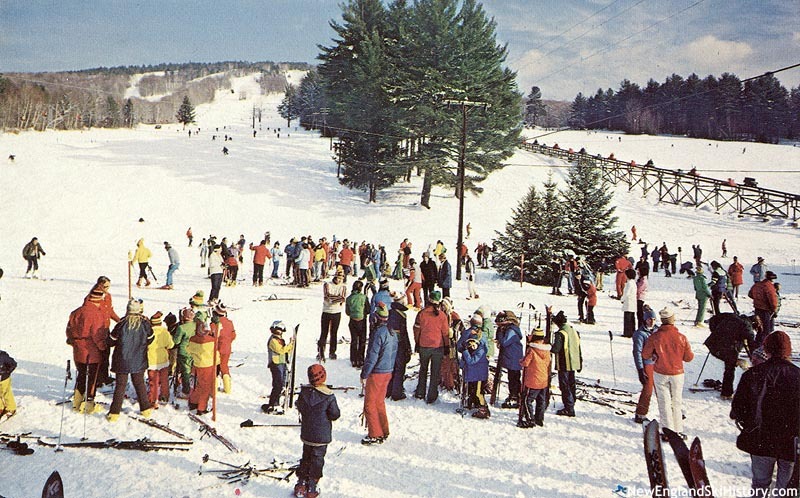 While Cranmore enjoyed successful decades at the beginning of its history, it was eventually overshadowed by its larger nearby competitors, such as Attitash, Bretton Woods, and Wildcat. By 1988, the Skimobile was abandoned, and in 1990 the cars were auctioned off. Bay Bank assumed ownership in November of 1991, keeping Mt. Cranmore, Inc. onboard in a management capacity. In August of 1994, Bay Bank brought in Sno-Engineering to operate the ski area for a season as it looked for a buyer. In June of 1995, LBO Resort Enterprises Corp. purchased Cranmore and subsequently installed a Doppelmayr high speed detachable quad, climbing 1,123 vertical feet to the summit. 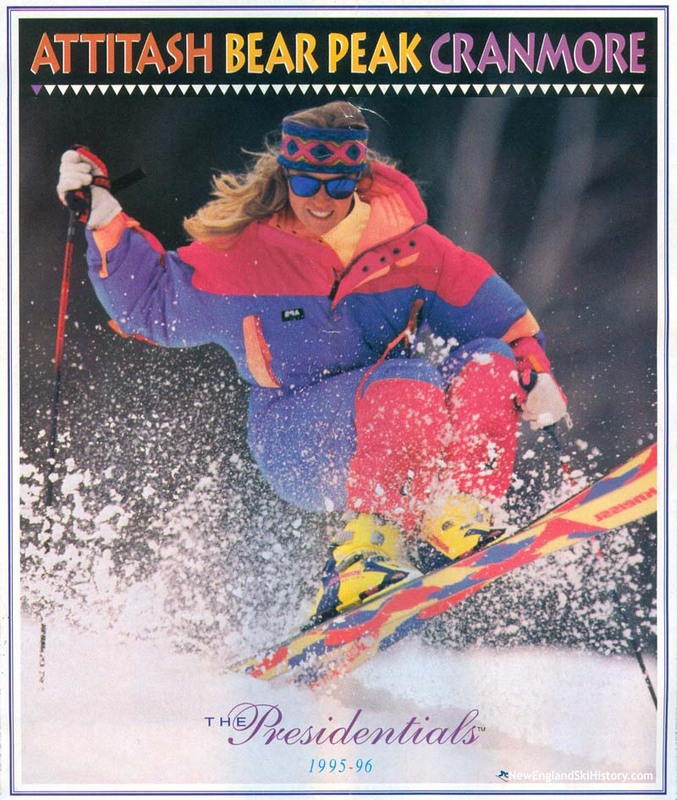 A merger with S-K-I Ltd. in 1996 resulted in the formation of American Skiing Company and a Justice Department order to sell Cranmore due to antitrust concerns. As such, American Skiing Company sold Cranmore and Waterville Valley to Booth Creek Ski Holdings, Inc. in November of 1996. Branching out from just being a ski area in winter, Cranmore added snow tubing for the 1997-98 season, to go along with its lighted snowboard halfpipe and terrain park. Booth Creek would own and operate Cranmore through the 2009-2010 season. 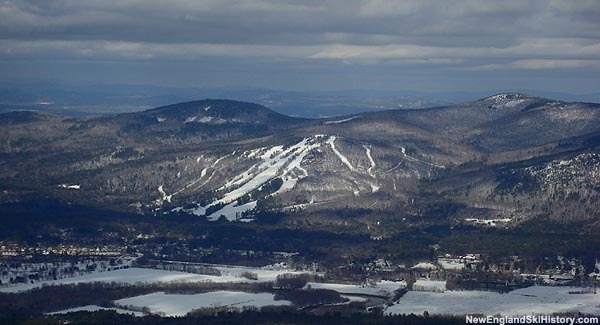 On June 15, 2010, Booth Creek sold Cranmore to Brian Fairbank, Tyler Fairbank, and Joseph O'Donnell, the operators of Jiminy Peak in Massachusetts. An aggressive expansion project was immediately started, including the installation of a mountain coaster and a fixed grip quad chairlift. The outdoor clay tennis courts were also removed that year. The historic East Bowl double chairlift was removed in 2012 and replaced with a Doppelmayr triple chairlift. Additional terrain was opened in the East Bowl to complement the new lift. In September 2016, ground was broken on new real estate development in the base area, which is expected to eventually result in new base facilities for skiers. As a result the base terminal of the South Quad was relocated.